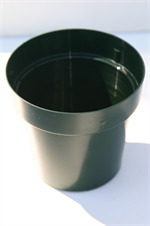 Our premium nursery pots range in size from our tiny 2-1/2" round pots to various 6" and 7-1/2" designs, up to our very large 12-1/2" round, 9-1/2" high design. 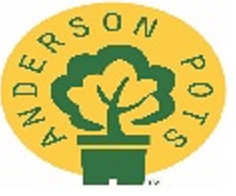 Anderson Square Pots range from 2" square to the popular 4-1/8" square size. Both Bottom Drainage and Side Drainage pots are available. 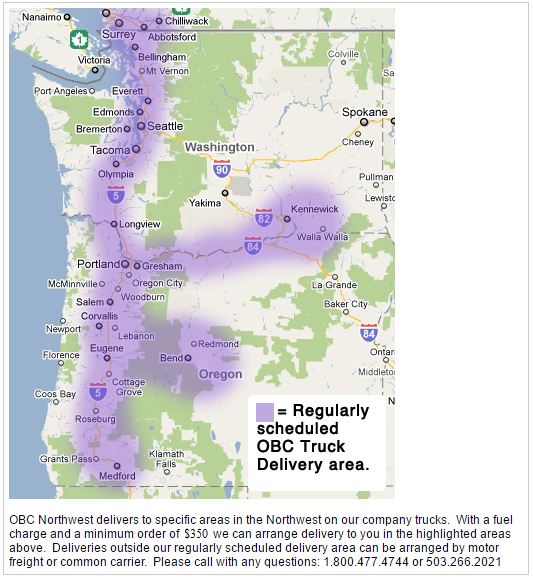 Green is our normal pot color with additional colors available, but not always in stock for immediate delivery. Please click HERE to view the Anderson website to select the products that best suits you! Poly cans are sold by the stack. Round standard pots are sold by the case only. Saucers are available for round pots, sizes 6" to 16". Available in the following colors: green and black.